A 90-year-old woman has died 12 days after being involved in a car crash. She was taken to hospital with minor injuries following a collision on 6 March but died on Monday. 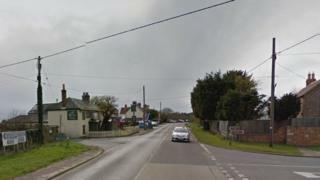 The woman, from Hordle, had been a passenger in a Nissan Qashqai which was in collision with a Volkswagen Crafter. Police have appealed for anyone who witnessed the crash at the junction of the A337 Christchurch Road and the B3058 Lymington Road in Everton, near Lymington, New Forest, to come forward. Two other people had been taken to hospital with minor injuries following the crash.